Vampire Yui is the daughter of a male Shinma and a woman who has both the blood of the Shi clan and the blood of a vampire, namely Vampire Miyu. Yui's particular Shi heritage makes her deeply connected to a magical lake residing on a different plane of existence. The guardian of the lake, Yuki, is the sister of one of Yui's distant ancestresses. Yuki fell in love with a mortal man over a century ago and chose to enter a wakeless sleep with him rather than fulfill her obligation to control the magic of the lake. The remaining Shi covet the lake and want to use its power. They fear that Yui, naturally drawn to it, would wake up Yuki, who would once more take up rule. 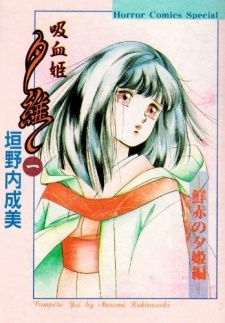 Vampire Yui was published in English by Studio Ironcat in comic book format from July 2000 to January 2003, for a total of 30 issues. Only volume one was published in tankoubon format on September 18, 2001.